Fast, Accurate and Easy to use! BidPoint XL, is an Excel add-in program, digitizes directly into Microsoft Excel. That makes fast takeoffs even easier. No need to flip-flop back and forth between Excel and a separate digitizing application. 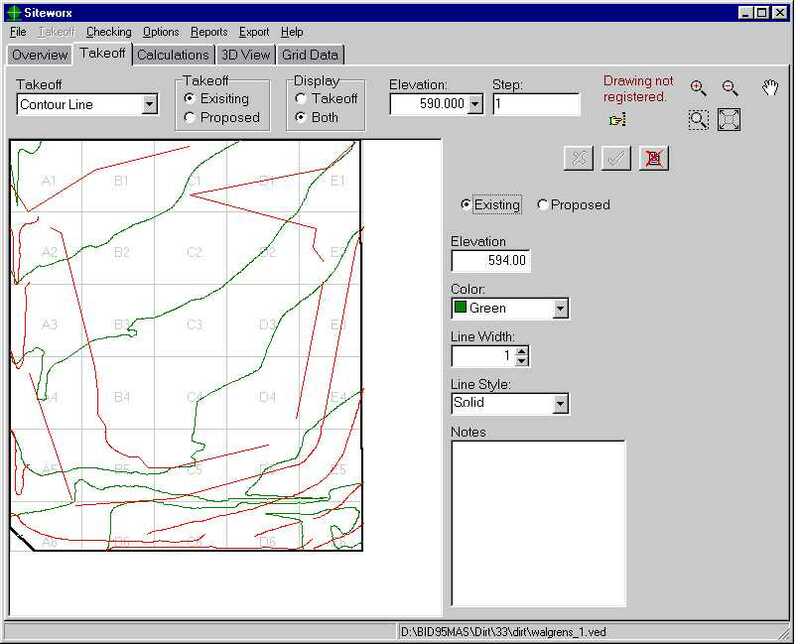 Simply click on a spreadsheet cell and electronically measure and draw items from paper plans in seconds. 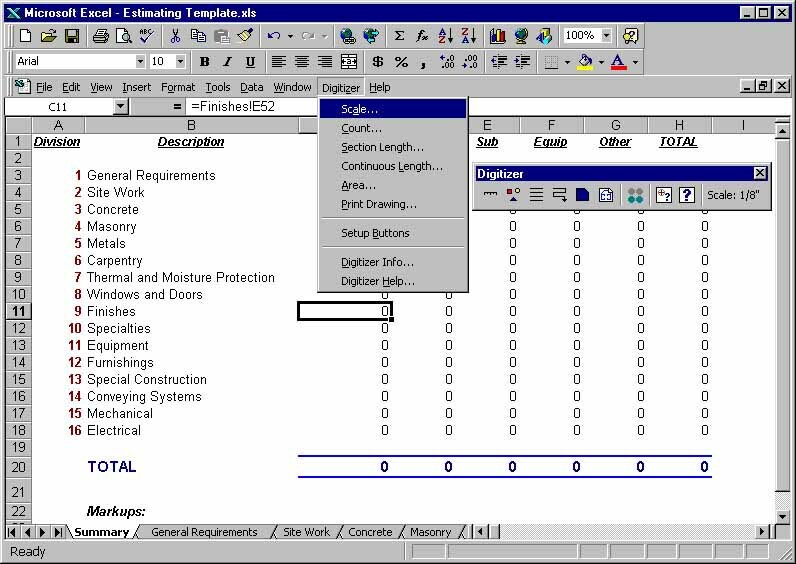 The digitized quantities and drawings are saved with the Excel cell and file. 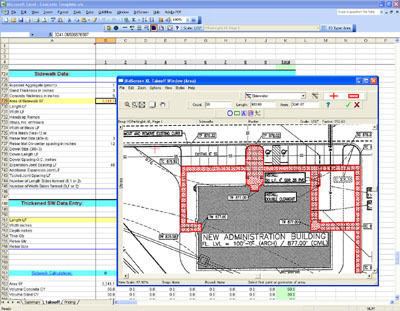 BidPoint XL is so user friendly that most estimators are up and running in less than fifteen minutes. When calculating cuts and fills, SiteWorx saves you time to do more important things. Like more jobs. Now working with “topos” is simple. With SiteWorx you’ll digitize into the computer existing and proposed contour lines, spot elevations and areas along with project boundaries, topsoil strip areas and topsoil respread areas. Once you have electronically digitized the blueprint into SiteWorx, click the mouse and cut and fill volumes are automatically and accurately calculated. Areas are also calculated with sub grade volumes. SiteWorx even tells you how to adjust proposed elevations to arrive at a balanced site.